I used to interact on the computer just for fun, but ever since starting my blog, computer time has turned into a career. Everyday I am blogging, editing photos, checking and answering emails, interacting with brands and publishing weekly blog posts. 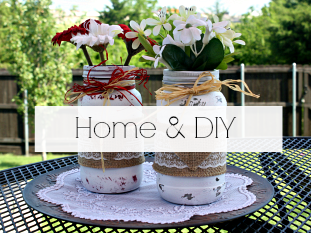 If I'm not blogging you'll find me on various social media sites, facebook, twitter, pinterest and instagram. I'm my own marketer, so sometimes it can all seems never ending. There are some days that I look up at the clock and realize it's 2:00 pm, and I'm still in my pajamas. I used to feel bad for being on the computer so much, but I told myself this is your career, and your contribution to helping our family financially. This is how it's suppose to be, but is it really suppose to be this crazy? Honestly I love what I do, but technology can sure get the best of me at times, and the best of my family as well. Sadly these photos are all too familiar in our home and on the go. The other night it was very quiet in our house that I decided to do a walk through. If you knew my family than you would know quiet does not describe our house. I popped my head into my daughters room to find her sitting in her chair responding to text messages, snap chatting, and checking in on Instagram. Next to Mackenzie's room was Carson sitting by his desk watching Full House and playing flappy bird on his iPod. Off to the main bedroom where my husband was checking emails from his iPad and watching a movie. I couldn't believe how everyone was separated as a family, and so consumed by technology. Growing up my mom always made sure we ate dinner together as a family, and it was always at the table. It was never spread out in the living room eating off of TV trays or around the coffee table. Eating together as a family is the one childhood memory that I remember very clearly. Sadly that isn't how it's been in my home lately. We used to eat dinner every night at the table, but then we moved to a new home, and never really got back into the routine. 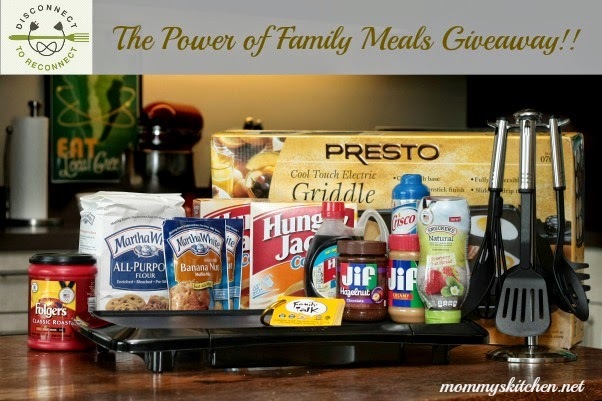 Recently I was invited to team up with the Power of Family Meals and J.M. Smucker Company for an initiative that emphasizes on the benefits of eating together as a family. 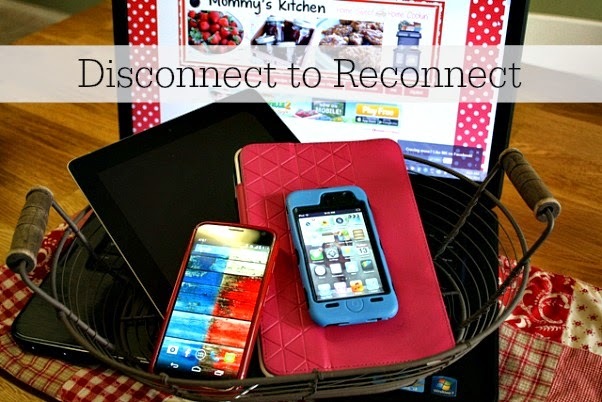 Disconnect to Reconnect is a movement to get families to unplug at the table for at least one meal, once a week or more. We don't always have the chance to eat together as a family, but when we do the one rule we have is no electronic devices or phones at the table. Family meal time is all about focusing on each other and reconnecting as a family. When I want to gather my family around the table I can always depend on a good pasta meal to do the trick. 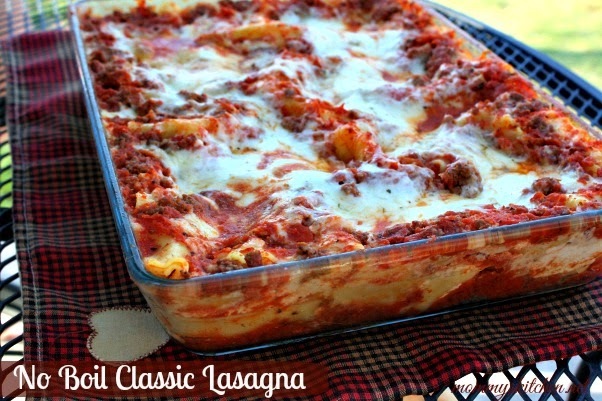 This easy No Boil Classic Lasagna is a family favorite in our house (recipe below). Family meal time opens up the line of communication more than you realize especially with teenagers. It gives us time to chat about our day, see how everyone is doing, catch up on school activities, and listen to who my daughters new crush is for the week. Before we know it everyone is giggling and having a great time. My son is one of the pickiest eaters, so lasagna is the one meal I can make with no complaints. This recipe is simple to make and you don't have to cook the noodles first. I love that part. Preheat oven to 350 degrees. Brown ground beef or ground turkey in a 12 inch or larger skillet. Add the chopped onions and garlic and cook until the meat is brown and the onions are translucent in color; drain any grease. In a large mixing bowl combine the water, crushed tomatoes and diced tomatoes; mix to combine. I used my immersion blender to chop up the tomatoes (we like more of a sauce). Add the tomatoes mixture and a pinch of sugar to the meat mixture and cook for 20 minutes, stirring occasionally. Taste the sauce and add additional garlic powder, Italian seasoning, salt and pepper if needed. Cover the bottom of a 13x9x2 inch baking pan with 1 1/2 cups sauce mixture. Arrange 1/3 of noodles on top of sauce, slightly overlapped. Top with ½ of ricotta cheese, 1 cup of mozzarella cheese and 1 cup of sauce. Repeat layers and top with last 1/3 of noodles and the remaining sauce. Sprinkle with remaining mozzarella and Parmesan cheeses. I did three layers. Cover tightly with foil and bake for 1 to 1½ hours; until noodles are cooked. Remove the foil and cook for additional 5 - 10 minutes. Let stand for 10 minutes before serving. Cook's Note: You can divide this into two 8x8 inch or 9x9 inch baking dishes and freeze one for a second meal. Freeze lasagna unbaked. Cover with plastic wrap and then foil. Date and freeze. To cook remove from freezer, thaw and cook. 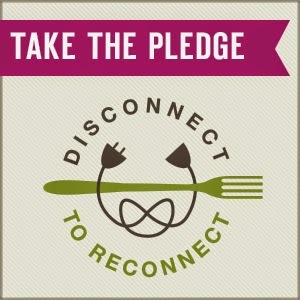 I recently took the pledge to Disconnect to Reconnect and were starting out slowly. My family is finally getting back into our routine and I couldn't be happier! Now it's your turn. Are you ready to Disconnect to Reconnect? I challenge you to put down all your electronic devices, cook a home-cooked meal and enjoy dinner together and reconnect as a family. Trust me your children will appreciate the time you spend together gathered around the table. I know I did. 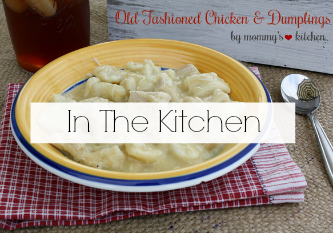 Another favorite meal my family loves is Breakfast for Dinner! We love it so much that I add it to our menu at least twice a month. Now it's time for a giveaway!!!! The generous folks over at Smuckers are offering one lucky Mommy's Kitchen reader a Breakfast for Dinner Prize Package. This Giveaway is now Closed! A Winner has been chosen. 1) Take the Pledge and come back and leave an additional comment and letting me know. n additional comment saying that you did. Contest starts today and will run until midnight on Sunday May 18th 2014. If you leave an anonymous comment please include your email address in your comment. Contest open to US and Canadian Residents only due to shipping charges. I will choose a random winner and contact the winner via email. The winner will have 48 to reply or a new will be chosen. Disclosure: This is a sponsored post on behalf of #DisconnecttoReconnect Campaign; however, all thoughts and opinions stated above are 100% entirely my own. Anything Italian, really. But lasagna is one of our absolute faves! And I love the no-boil method!! I took the pledge. Love time with my family, and we will be spending it connected to one another over dinner every evening! 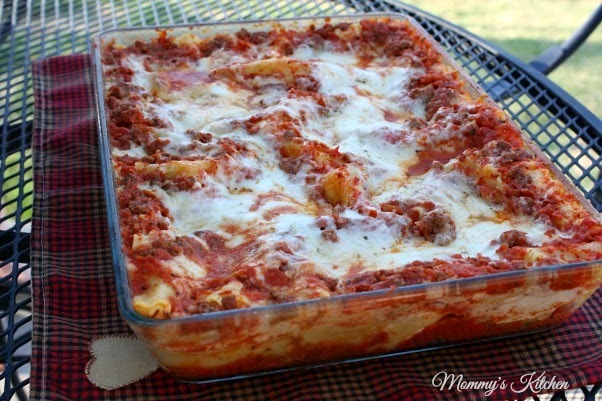 We love this no boil lasagna....so easy and good! I don't know if I can pick a favorite for the whole family. We all request something different for our birthdays, but we love pancakes for dinner. This looks and sounds delicious! Manicotti is on of our favorites too... Prime Rib, or Ribeyes are one of our favorites too.. man we just Love food! Ty for sharing with us! My family loves Chicken quesadillas with grilled peppers and onion. Disconnecting for Family dinner should be a top priority. Steak is my favorite meal. Hello! We love breakfast for supper. Any combination of eggs, waffles, pancakes, muffins, and etc. My kiddos (triplets age 11 and our 3 year old love to help). We love homemade pizza. I try to make everyone's favorite toppings. We took the pledge! I'm excited for my family! My kids favorite meal (right now) is homemade calzones. King Ranch Chicken is a favorite around here. I took the pledge. I love this idea. Cat head biscuits tomatoe gravy sausage bacon eggs and grits that's what my bunch in the sout likes for supper..yum yum! I'm the grandmother and my daughter and I take turns cooking supper so therefore her family and myself eat supper together. Basically we like vegetables, salad, meat and starch. We cook alot of pork, chicken and fish. 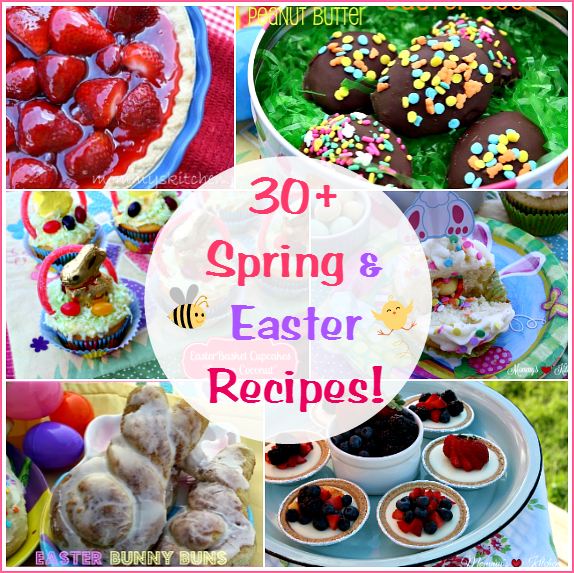 We have tried many different recipes. We are not too fussy but we always cook from scratch. We love roast with potatoes and carrots. I also took the pledge. My family's favorite dinner is grilled steaks served with twice-baked potatoes. Thank you! We love sheppards pie!Even my 2 year! My husband's favorite meal happens to be lasagna. I've always cooked my noodles, but will try your recipe. Sounds great, and I really enjoy your blog. Our favorite meal is Mexican casserole!!! We took the challenge! Love family dinners and conversion! Our favorite dinner meal together is baked ziti with garlic bread! 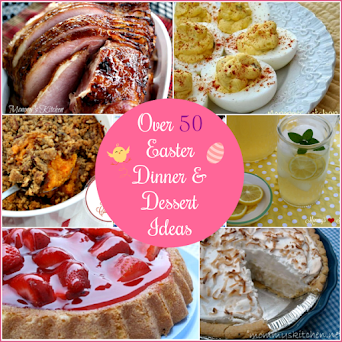 Our favorite is my chicken dressing casserole. My children ask me to prepare it for family get togethers. Our family favorite is stuffed shells with garlic bread on the side! Yummy! Spaghetti and meat sauce, salad with french dressing and garlic cheese bread. My picky eaters love Italian food, second choice is lasagna. I make it a point to have dinner with the kids every night. Hubby doesn't make it home in time. On the weekends we eat all meals as a family together and are trying to have more family activities. We are unplugging more too. My families favorite dinner is Fried Chicken,Mashed Potatoes, Corn on the Cob and a Salad. That's mine, anyway, and my husband, daughter, son-in-law and grandkids all love it, too. I suspect it's their favorite, too. My family loves my chicken and noodles and tacos/burritos are a big favorite too. I took the pledge and my husband. I agree with the pledge but I do have one observation. We have six kids and we use to go on several road trips, they were fun but very stressful. 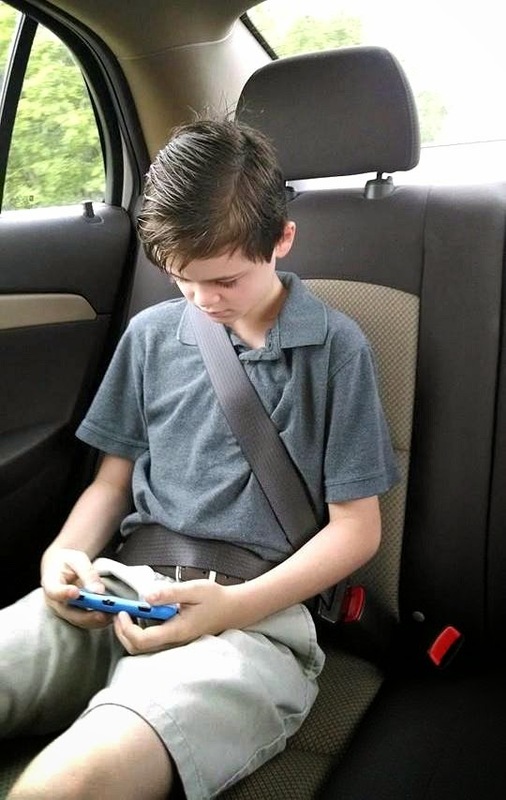 We went on a road trip last weekend with four grandkids and because of a phone and ipad games and apps it was a stress free trip, youve got to love technology for that! Lasagna is our family favorite too! Roast beef is a close second. One of our family favorite meals is Poppyseed Chicken served with peas and biscuits. We never actually reach a consensus about dinner. My son and I both love sloppy joes, my daughter likes anything with pasta and my wife likes anything that cleans up well. I took the pledge for both my wife and I. We love roast beef, mashed taters and brown gravy. We love Creamy Baked Taquitos with Cilantro Lime Dressing. Our family LOVES lasagna!! Definately going to be trying this! I make a ravioli bake that everyone loves. Easy, filling and full of flavor. Thanks for the giveaway! Our favorite family meal is lasagna too! Baked chicken breast and baked potatoes with salad and texas toast. Our favorite dinner is barbecued pork chops seasoned with smoked paprika, along with grilled corn on the cob and salad. So yummy and I don't have to heat up the house to make dinner! My family likes make-your-own tacos, but lasagna is a big hit also. I want to try the no boil lasagna recipe. Our family loves breakfast anytime as well. My son and daughter are kind of picky too, so I understand that. 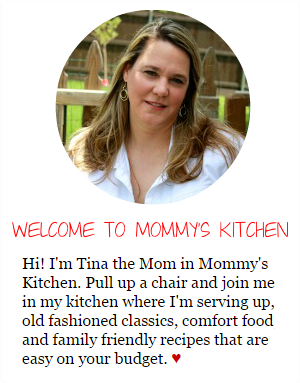 I love your blog, thank you for sharing your recipes. We try to sit down at least 5 nights a week together for dinner. It's about the only time someone's not playing on their phone/laptop/dsi/kindle/ipod/xbox/wii. I can't wait to go camping, none of that stuff is allowed! I took pledge. We will schedule one night a week to celebrate family. Our fav is spaghetti. OUr favorite family meal is Crock Pot Taco Soup. No particular favorite, but the lasagna looks really good. 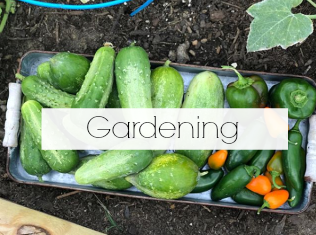 We live on the farm and our dinner menu depends on the time of year and what we've been doing. My families favorite dinner is meatloaf with mashedpotato and glazed carrot. 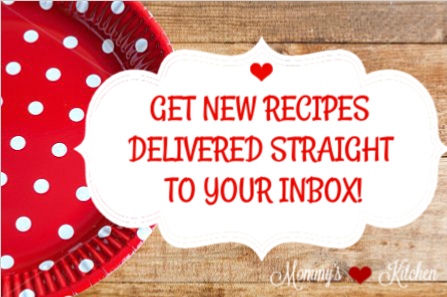 We love slow cooker meals. One of our favorites is old fashioned beef stew with cornbread. Comfort food for the win! A juicy burger with sauteed onions and cheddar cheese with a side of roasted vegetables (in place of fries - yum. Our favorite meal is cheese enchiladas. Our favorite family dinner is Spaghetti and meatballs with garlic bread. Our favorite is homemade pizza! Very yummy! Our favorite is a big think steak on the grill! We do Beef tenderloin every week with mashed potatoes and gluten free hot rolls and just a veggie salad simple but we love it.